Poor Daddy Hazelden is definitely outnumbered. With a wife and four daughters, the girls are definitely in charge. I think he was worried when they were younger that they wouldn't enjoy doing the things he likes to do, I suppose he saw them as male activities but we girls know that anything boys can do girls can do better!! 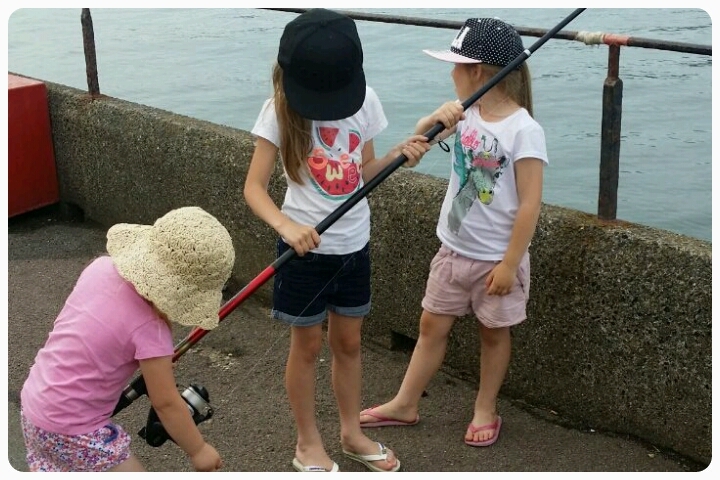 So last week Daddy Hazelden was a bit surprised when the girls agreed to go fishing with him. 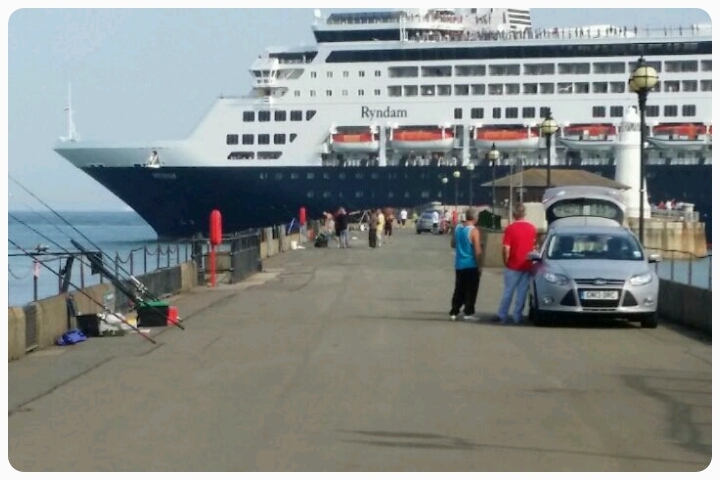 I stayed at home with Layla (I knew she would get bored easily) while the others made their way down Dover Pier. 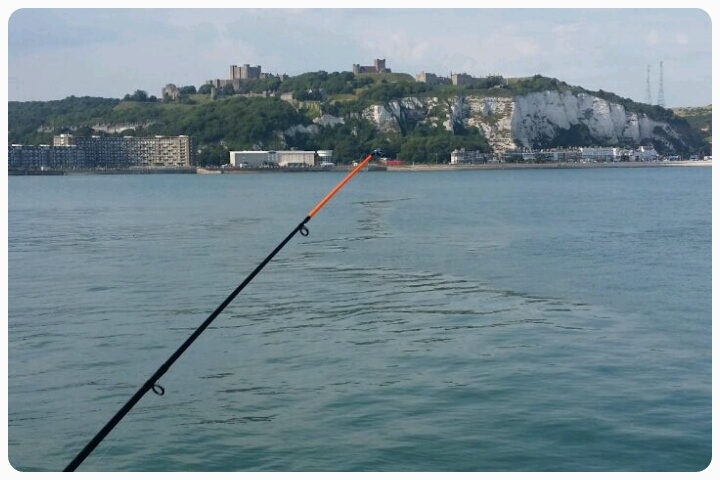 The rod was set up in a great place, with a fantastic view of Dover Castle in the distance, then all that was left to do was sit and wait. Freya was keen to get stuck in, so after waiting a while for a fish to bite, she was shown how to reel it in. 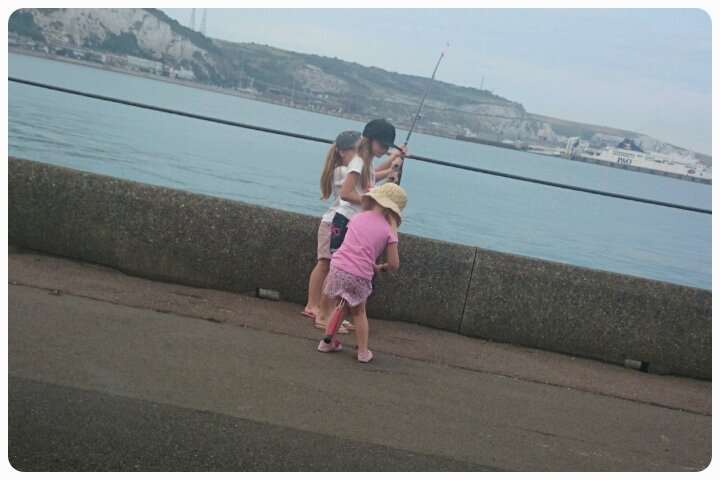 I was impressed with all of them as although they didn't touch the bait, my normally squimish bunch did watch daddy put live worms on the hook. Whilst waiting some more, can you see a pattern forming here, a ferry was pulling in, with it's loud horn going off, I wouldn't be surprised if it scared the fish away!! Finally the girls managed to catch something. Excited to see what they had managed to get, Gracie joined in to help. 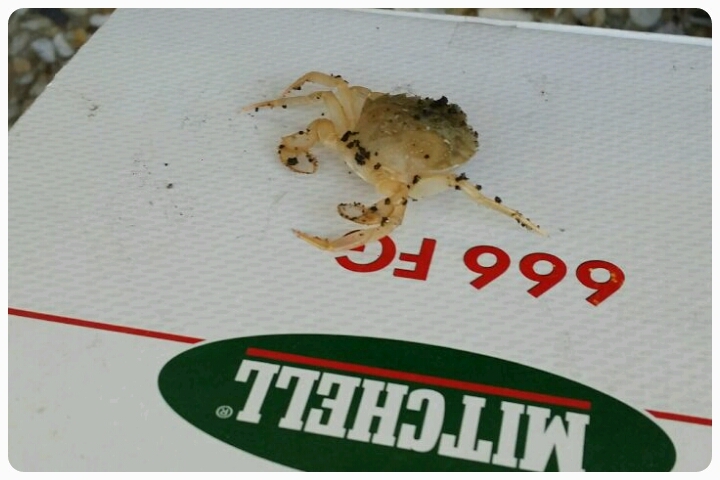 They caught a baby crab. Ok not the fish they had been hoping for, however not bad for their first attempt. Do your kids enjoy joining in with any hobbies you have?? I bet they just love Daddy time. monkey watches the Grand Prix with me and we all love steam trains. It's great when you can enjoy and share hobbies - one that I share with our children is body boarding and surfing. 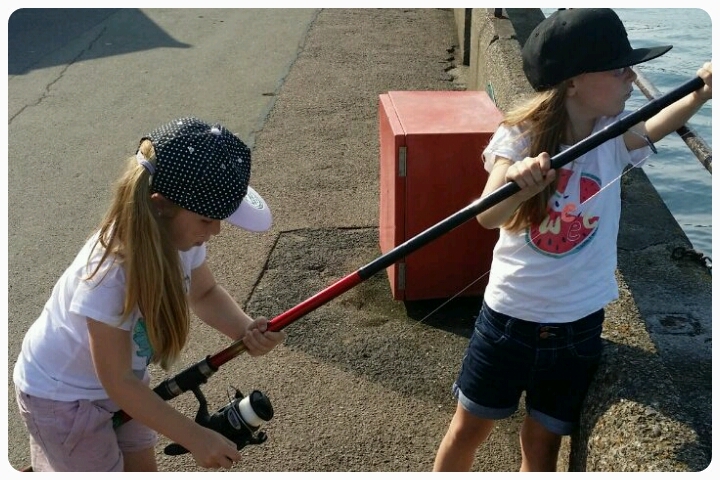 It looks like the girls had a great time fishing with their Daddy, thanks for linking up and sharing with Country Kids.